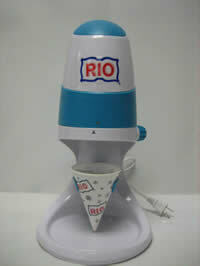 Simply press down with your palm and the RIO Electric Home Shaver produces perfectly textured, fluffy snow. 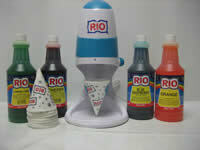 Just add your favorite RIO Flavor and enjoy the refreshing taste of RIO Shaved Ice. Complete with directions and suggestions. Contents subject to availability. 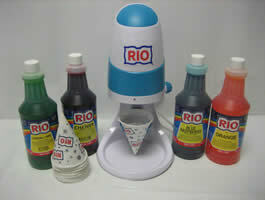 Copyright © 2001 RIO Syrup Company, Inc.